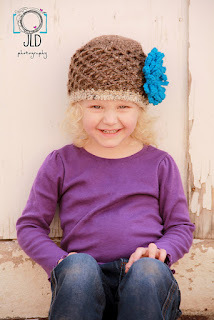 This month's post is spotlighting Heidi Yates, the crochet designer and crafts blogger behind Totally Snappy/Snappy Tots. Heidi can also be found online at Facebook, Instagram, Pinterest, Ravelry, and Twitter. All images are © Heidi Yates/Snappy Tots/Totally Snappy and are used with permission. Messy Beanie Buddies, premium crochet pattern by Heidi Yates for sale on Ravelry. Heidi: My mom taught me when I was little. I didn't really start crocheting a lot until about 7 years ago when knitting became too painful for my wrists. I picked up crochet again and, with ergonomic hooks, am able to crochet for hours without pain. 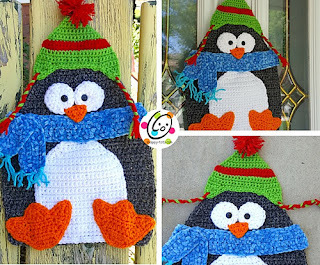 Icicle Ike, free crochet pattern by Heidi Yates. Heidi: I can't remember a time when I wasn't designing something. I grew up in a very creative home and my mom always encouraged us to draw and try different hobbies. My first published "designs" were tole painted pieces in 1995. I wrote a book and several magazine articles. After that I designed knitted pieces and crocheted pieces. 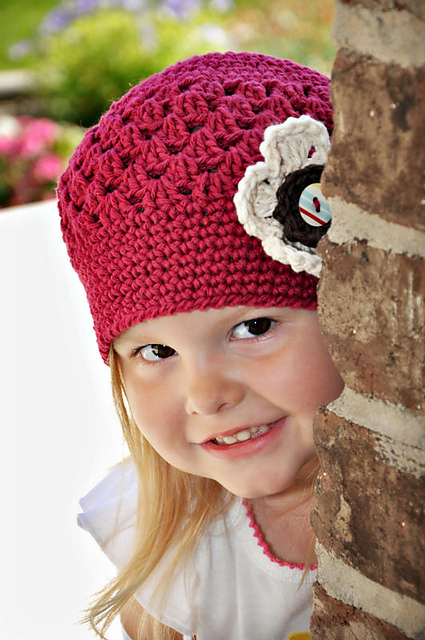 Cotton Flapper, free crochet pattern by Heidi Yates. Heidi: I am a newbie. This is my second year and I'm still finding all of the things they offer. I have enjoyed many of their publications. 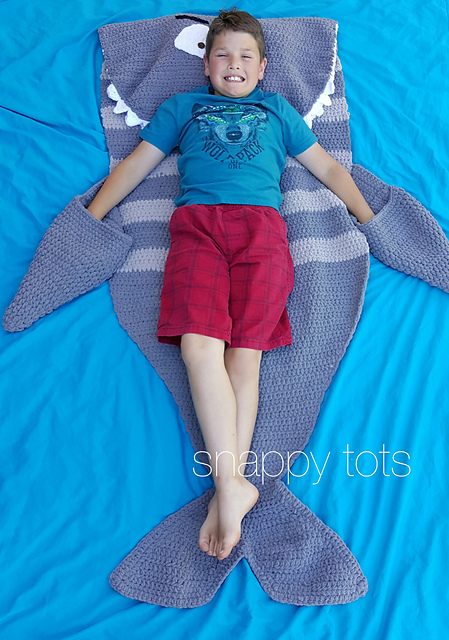 Shark Nap Blanket, premium crochet pattern by Heidi Yates for sale on Ravelry. UC: You have a multi-craft background. 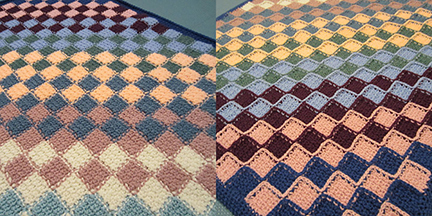 Does your tole painting experience influence your crochet at all? Heidi: Absolutely and more so this upcoming year. For over a year I've been working on a new adventure with my painting (prolonged due to personal events) and eventually will be releasing a whole new line of crochet patterns inspired by those designs as well. I hope my creations look like each other. I think I have a whimsical world playing out in my brain and little by little pieces come to life. Velvety Slouch and Scarf, free crochet pattern by Heidi Yates. 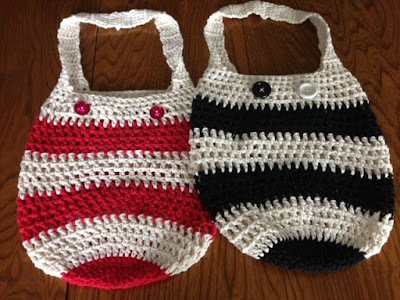 UC: What are your favorite types of crochet projects to make? Heidi: I wish there was an eighth day each week dedicated to crocheting just for the heck of it. There are tons of patterns I'd love to try for my home and gifts. I mostly enjoy crocheting things for kids.. Of all ages. The brighter and more whimsical, the better. 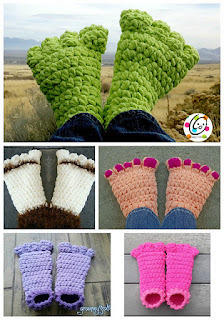 Troll Toes and Big Feet, premium crochet pattern by Heidi Yates for sale on Ravelry. UC: What will you be working on in 2017? What's next for you? Heidi: I've been working behind the scenes for quite some time and hope to put everything in place by spring, 2017. "Out with the old and more of the best" is my motto for 2017. Thanks for sharing your love of crochet with us, Heidi! I was provided with a copy of Crocheted Scoodies for an honest review. All opinions are those of Jessie Rayot of Jessie At Home. 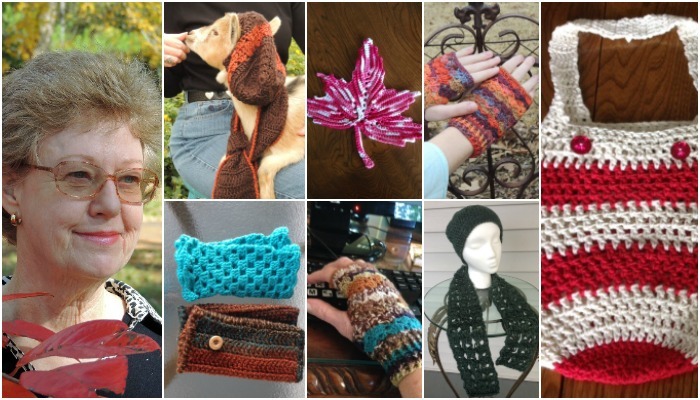 Crochet Scoodies: 20 Gorgeous Hooded Scarves and Cowls to Crochet is packed full of warm goodies to keep your winter bright! 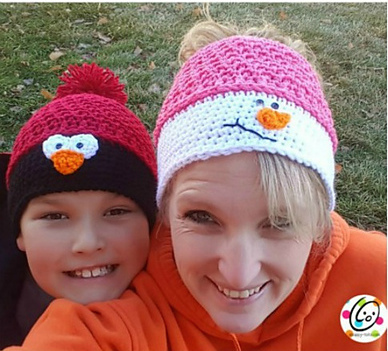 Using chunky yarns, these scoodies are not only warm, but they work up fairly quickly so you can be off in fashion in no time. From elegant and chic to sporty and fun, there's loads of variety to choose from. You're sure to find the perfect scoodie to suit your style. 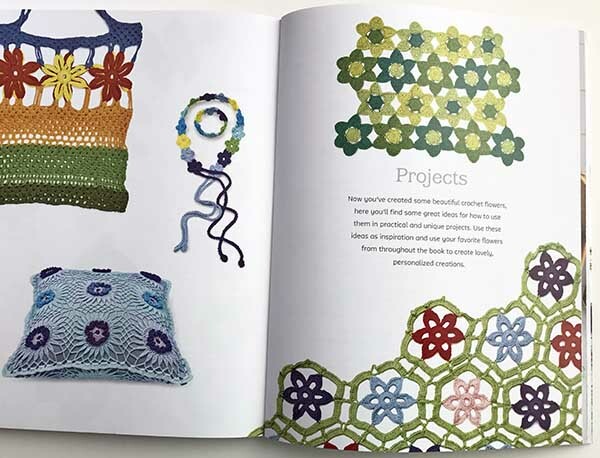 The book starts with a short introduction and then moves right into the colorful patterns. 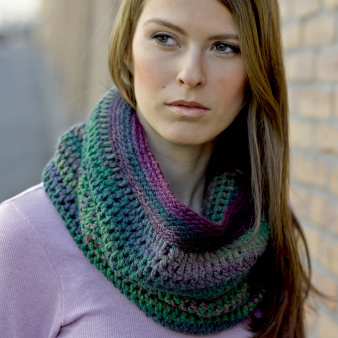 There really is a nice variety of hooded cowls and scarves, in every color of the rainbow. Of course, you can use any color you like, but the colors chosen for the samples are superb. Sometimes a solid color is chosen with just a bit of a second color as an accent, sometimes a set of colors are chosen, and sometimes a variegated or textured color yarn is chosen. You can see that a lot of thought went into just the right yarn for each pattern. 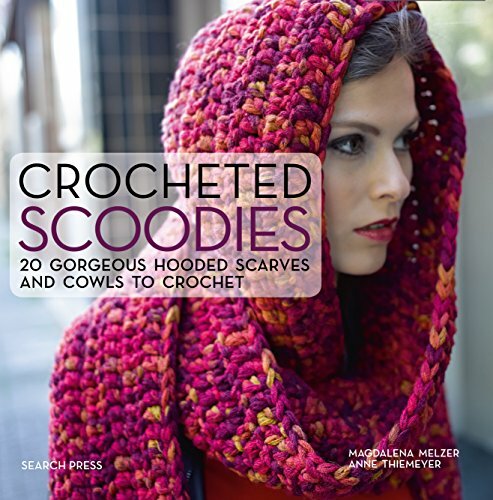 Crocheted Scoodies is also a great book to learn different stitches. Nothing boring going on here! The stitch patterns are constantly changing so no 2 scoodies look the same. There are ripples and ridges, spike stitches and post stitches and more. At the end of the book is a "How it's done" section that will teach you many of the techniques you will need to complete your projects. All with clear illustrations. After that is a section of charts to help with some of the patterns. This book has everything you need to succeed! You can pre-order your copy of Crocheted Scoodies from Amazon HERE. You can also enter below to win a copy of your own. 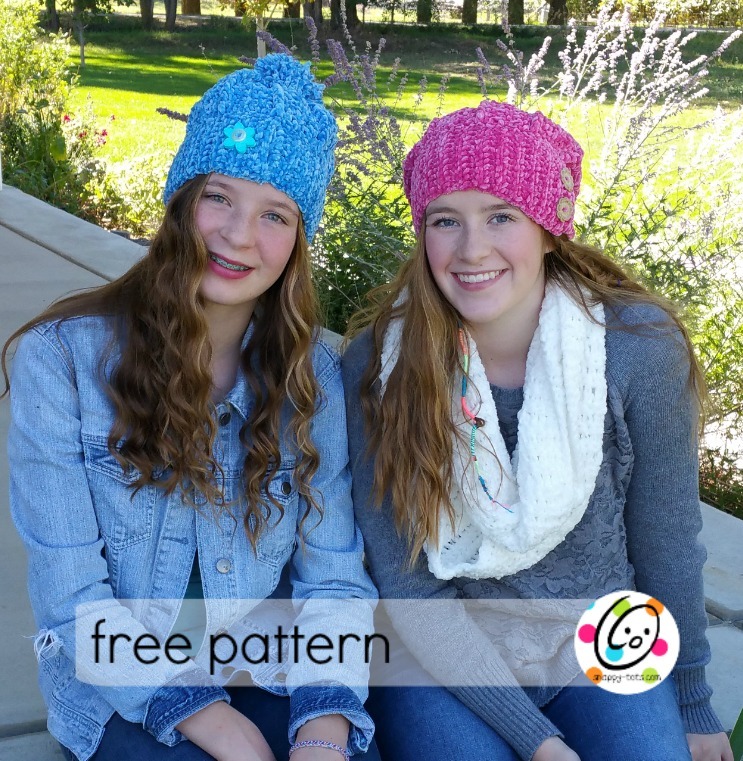 To enter the Crocheted Scoodies giveaway you must be at least 18 years of age with a valid USA shipping address. Giveaway closes at end of day eastern time 12/25/16, after which the winner will be contacted via email. Winner must reply with a valid USA shipping address within one week, or a new winner will be chosen. I’ve been crocheting a little over 40 years. 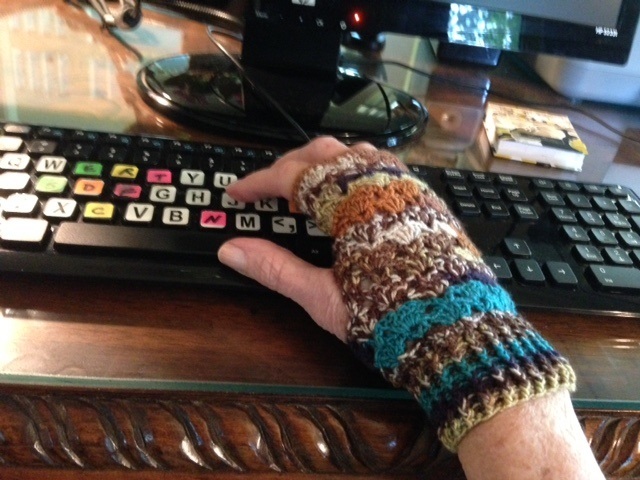 I learned from my best friend, Dorinda, in college (my Ravelry name is in honor of her). I learned using one skein of horrible black yarn. I must have made and ripped out half a dozen projects with that yarn! I’m right-handed and use the knife hold. What I do differently is how I use my left hand. I lost the very tip end of my left middle finger, and it has a skin graft on it and I can’t “feel” with it. So I hold my project with my forefinger and use my middle finger for pulling up more yarn from the skein. It’s made for some interesting photos, where I’ve had to Photoshop out my middle finger so people won’t think I’m making obscene gestures. I’m more interested in the handle, than the point. I love Furl’s wooden hooks, but some yarns “stick” on them. If that happens, I use a Tulip Etimo Rose hook. I really don’t have a favorite weight or content of yarn. It’s more about what works for the project, or what yarn calls to me (a very serious problem at vendor marts). I find myself tending to use finer yarns lately and more wool. What I dislike is skeins with lots of knots in them, but doesn’t everybody? I honestly don’t have a favorite stitch. It’s all about the process. I like to take a pattern and play around with it until it becomes something slightly different or even a whole new technique. I enjoy Mosaic Crochet, where you take this complicated set of instructions and all at once something magical emerges. I also like crocheting with beads. Right now I am trying alternating groups of beads with Turkish flat bead crochet, but the results are not promising. Er, what was the question again? I love having both written patterns and charts. I try to provide charts whenever I write a pattern. It’s really hard to get me to select a favorite anything. There are so many choices and so little time! I make a lot of scarves and shawls because they work well as gifts and for charity donations. 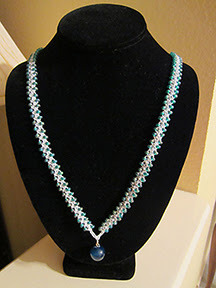 I make many necklaces because I love playing around with beaded crochet. And I make at least one pillow to enter into the State Fair of Texas each year. In fact, a (now defunct) neighborhood magazine called me several years ago when they were doing an article on people who enter the fair. They included me with my pillows! First of all, for charity. My CGOA chapter, Crochet Texas!, does prayer shawls as a thank you to the church where we meet, and we make items for the Scottish Rite Hospital’s bazaars. 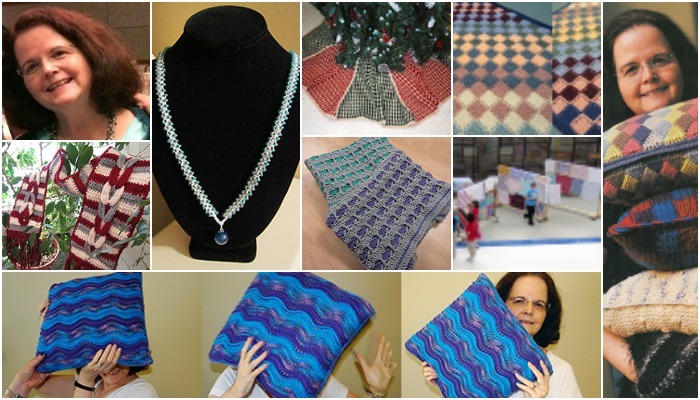 A local fiber event, DFW FiberFest, has several charity opportunities. Not to mention scarves for Texas Special Olympics, squares for Warm Up America and Heartfelt Blessings, and I don’t know how many lemon stress balls I’ve made! Some links with information on the charities can be found at www.crochettexas.org under the charity tab. Next, gifts. Family and friends still seem to like getting crochet presents. I just finished baby blankets for a co-worker who had twins! Then myself. And some of what I’ve made is still waiting to find a home. 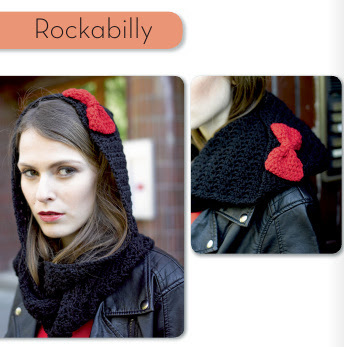 Yes, in 2013 Crochet Texas! had the opportunity to yarn bomb the studio of “Good Morning Texas!” in conjunction with the Craft Yarn Council. In 2014, we yarn bombed the lobby of Scottish Rite Hospital, Dallas, with baby blankets. Instead of being an art installation, this event was a support installation. Guild members crocheted and collected over 65 baby blankets, which were given to Scottish Rite for their Holiday Bazaar. Contributions arrived from across Texas, and from Colorado and Hawaii. You can go to the Crochet Texas! website, www.crochettexas.org, and click on Charity, then Yarn Bombing, for more pictures. I have been a member of the CGOA since 2002. I’ve been lucky enough to go to a conference every year except for two. The first conference I went to was in West Palm Beach, Florida in 2002. I met Darla Fanton at the airport gate in Dallas (she guessed I was going to the conference based on a little, er, incident I had with security and the yarn in my purse). Since I had a friend picking me up at the airport, I offered Darla a ride to the hotel. Then I found a guildmate was on the plane with me. I offered her a ride as well. Let’s just say I was getting a little bit over generous. I did not realize the friend who was picking me up had her mother with her, whom she had to take home first. And mother’s home was about 20 miles in the opposite direction of the hotel, and neither one of them was quite sure of the easiest way to get there. And although I am very good with “fitting things in,” we still had to hold luggage on our laps. About an hour later, we finally got to the hotel. Darla almost ran out of the car! I always tell people I kidnapped her. But it was the start of a good friendship. In fact, it was the start of many friendships from the conferences. Yes, I helped found Crochet Texas! in 2002. We have about 25 members. Along with the classes we have at every meeting, we did the above-mentioned yarn bombings, put together a yarn crawl, support several charities, volunteer for local events, and more. Check out our website at www.crochettexas.org, and we’re also on Facebook. I do design, but I don’t have the time to invest in trying to publish. So if I ever get to retire, that is a goal. 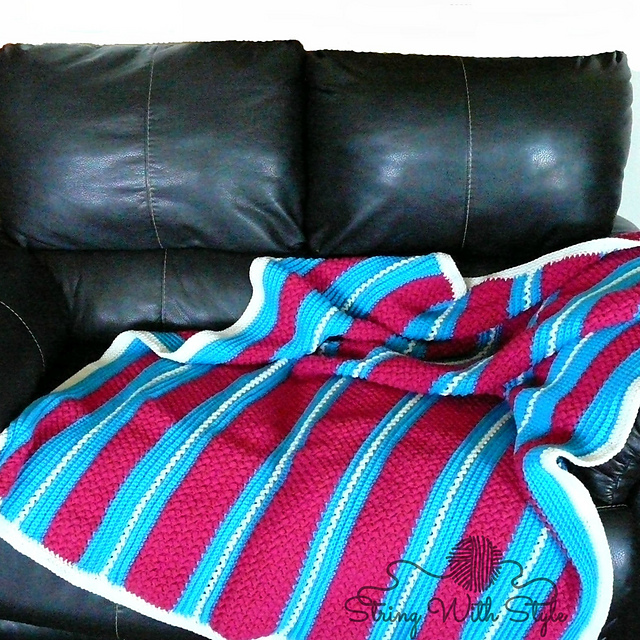 I took a beginning weaving course on a rigid heddle loom recently, and I enjoyed it. I’m torn, do I invest in a loom or not? I don’t have the time for an additional craft, but it was fun! I’m going to take another course first to see if it is still fun. If so, I’d like to combine the weaving with crochet. Some ideas are simmering in my mind. For me, the best thing about crocheting is people. I used to crochet alone and very infrequently, and I was not expanding my skills. It wasn’t until I became involved with a guild that I took my crochet to a whole new level. It’s inspiring, it’s educational, and it gives me a chance to teach, to donate to charity, to design. Plus it’s a lot more fun. If you don’t have a guild, get one. Seriously. Start with just a few people, spread the news, and it will grow. If you can’t find enough crocheters in your area, try doing a combo group with knitters, spinners, or weavers. There is really a great dynamic with a group. I am addicted to reading. My husband and I play online role-playing games. I love going to the theater, symphony, opera, ballet, etc. I work for a graphic design company, and it’s interesting how the skill sets intertwine sometimes. I designed the Crochet Texas! logo and website, for instance. And I use crochet whenever possible for team building projects at work! Thank you for sharing with us Jan, it's been fun "getting to know you"! Bring a little bit of sunshine into your world with these beautiful crochet flowers. They're fast, fun, and so versatile! The absolute hardest part of this book is page 6. 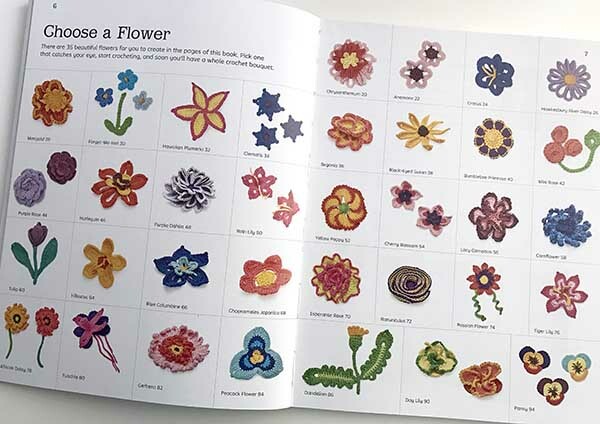 It says "choose a flower," with pictures of all the flower patterns in the book. They're not simply variations on the same basic design. Each one is unique and they're all so pretty that it's hard to pick just one! Some of the designs may look complex, but the book makes them very accessible for beginners. They're organized by difficulty, so you can work your way up as you master new skills. In addition to clear instructions and charts, the patterns also include step-by-step photos of each row. To get you started, there is a diagram showing what information is in each pattern and how it is arranged. The basic stitches and techniques used are illustrated in photo tutorials. There are also tips on choosing materials and tools, and reading the charts. 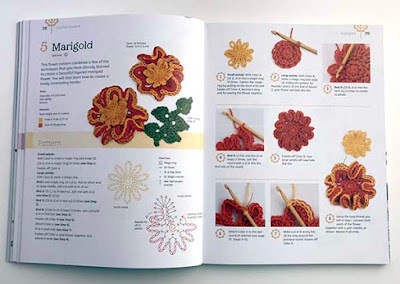 Because the instructions are so detailed and the patterns themselves are so small, this could be a wonderful book to learn to crochet with! Every flower needs leaves, and there are leaf patterns included too. 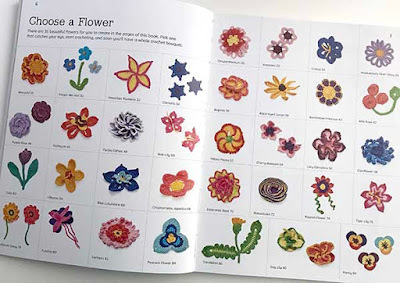 You can use your finished flowers to decorate almost anything, or try one of the 5 fun projects in the book! Enter to win your own copy of Crochet Flowers Step-by Step! This prize is generously provided by the publisher, St Martin's Griffin. To be eligible, you must be 18 years of age or older, with a valid, US or Canadian shipping address. The winner will be contacted by email, and must reply to that email and provide the shipping address within 1 week in order to receive the prize. If the winner does not reply within 1 week, a new winner will be selected. The giveaway ends on December 30th. Hurry and enter below! 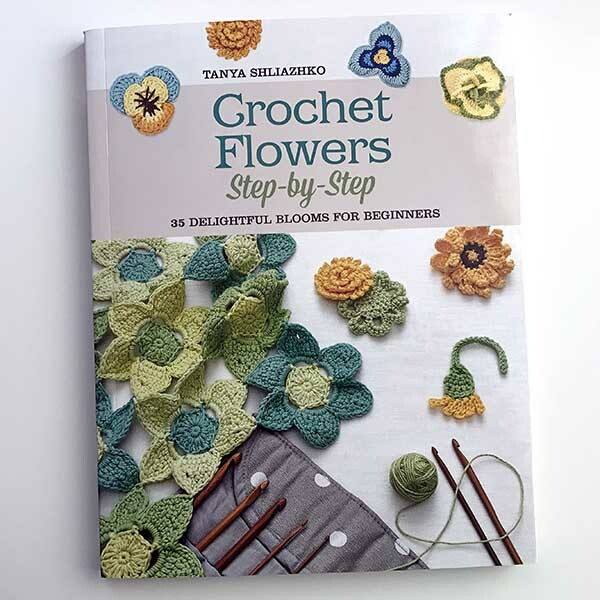 Disclaimer: A free review copy of Crochet Flowers Step-by-Step was provided by St Martin's Griffin. Although I accept free products for review, I do not accept additional compensation, nor do I guarantee a positive review. My reviews are based entirely on my honest opinions. All images of copyrighted material are used with permission. 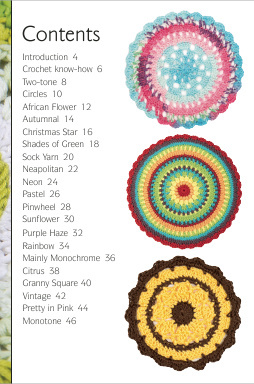 I was provided with a copy of Crochet Mandalas: 20 to Make for an honest review. All opinions are those of Jessie Rayot of Jessie At Home. Crocheted Mandalas: 20 to Make by Lynne Rowe is full of, well, 20 awesome Mandalas to crochet! It is scheduled to release on January 10th, but you can read all about it here, and enter to win a copy of your own! You can also pre-order it HERE. The book begins with an introduction and a little bit of Crochet Know-How. Then Lynne dives right into the patterns. Each pattern is written in both US and UK terms, in an easy to follow manner. The pattern range from simple to more ornate, and there is a nice variety. There is also a variety of different yarns and weights used which really shows of the versatility of mandalas. Honestly you can make any of them in just about any yarn and weight you want, you will just get a different look and size. I really enjoy crocheting mandalas, there is something soothing and therapeutic about them. Plus they have so many uses: coasters, potholders, trivets, embellishments, or even just hang them on the wall! I decided the best way for me to tell you how the patterns are written was to give a couple of them a go, so that's just what I did. I started with a smaller but slightly ornate mandala, the Christmas Star. I did not use the recommended yarn for this one, I used some Red Heart With Love I had in my scrap bin. I love that mandalas can use up your scraps! I found the pattern to be very easy to follow, even with some more advanced stitches. Next I moved onto the Granny Square pattern. I used the recommended King Cole Riot DK, just in another colorway. Again the pattern was easy to follow. There were lots of repeats, but the pattern was written in such a way that it was not at all confusing. 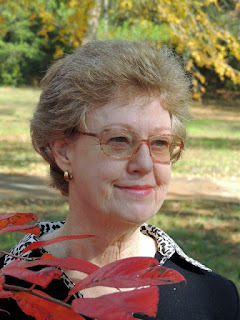 Lynne has done an excellent job of writing clearly for any level crocheter! You can see more photos of the mandalas you can create with this book HERE. Overall, I was impressed by Crocheted Mandalas. The patterns and color choices were lovely, and the instructions were easy to follow. 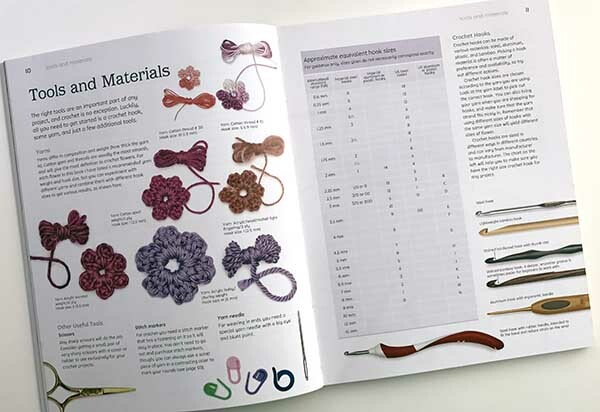 At just $9.95, this book is an excellent addition to your crochet library! You can pre-order your copy HERE, and you can also enter to win a copy below. 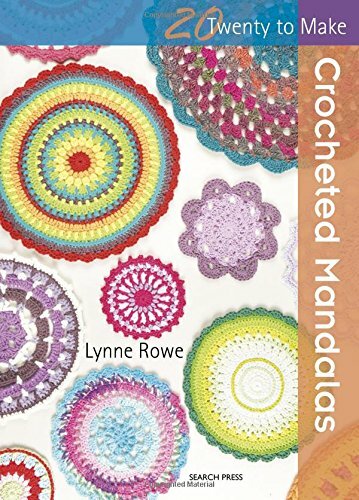 To enter to win a copy of Crocheted Mandalas: 20 to Crochet, you must be at least 18 years old with a valid shipping address. The contest will run from start of day 11/21/16 to end of day 11/27/16 Eastern Time. The winner will be chosen at random and contacted via email for a valid shipping address. Winner will have 1 week to reply or a new winner will be chosen. 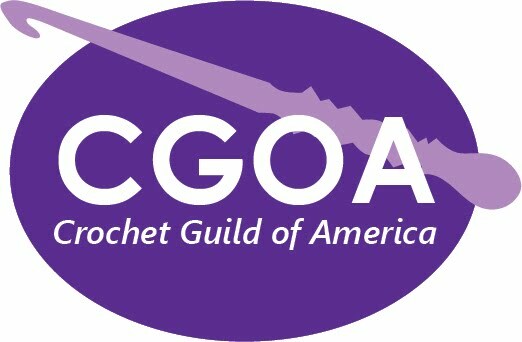 I'm Marie from Underground Crafter and this is the eleventh post in a series of interviews where I highlight the work of a Crochet Guild of America member. 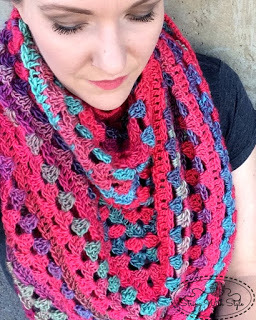 This month's post features BreeAnna Laub, the crochet designer and blogger behind String with Style. She is also on Facebook, Instagram, Pinterest, Ravelry, and Twitter. All images are © BreeAnna Laub/String with Style and are used with permission. 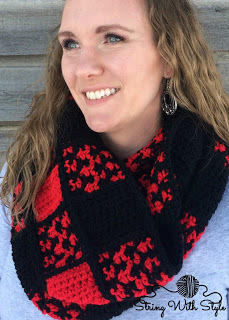 Buffalo Check Obsession Scarf, free crochet pattern by String with Style. BreeAnna: My grandmother taught me how to crochet when I was about 10. Her arthritis was getting so bad that she couldn't do it anymore and I showed so much interest that I was gifted all of her yarn, pattern books and hooks! I LOVED it!!! Once I started I didn't stop. I asked for hooks and yarn and patterns for Christmas. My parents thought I was crazy but I loved it and I dreamed of being able to do something with crochet for a living someday. 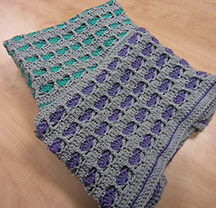 Vertical Textures Afghan, free crochet pattern by String with Style. BreeAnna: I started designing in 2012. BreeAnna: This is my very first year being a member of the CGOA and I don't know why it took me so long to finally join. It has been a wonderful year. I would say my favorite thing is the connections I've been able to make and the people I've been able to meet because of it. 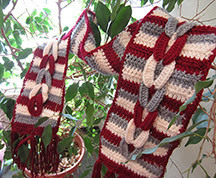 Granny Stitch Triangle Scarf, free crochet pattern by String with Style. BreeAnna: For relaxing I like mindless projects. Something with an easy to memorize stitch count pattern that I can just keep going on without stopping to count stitches or change colors. 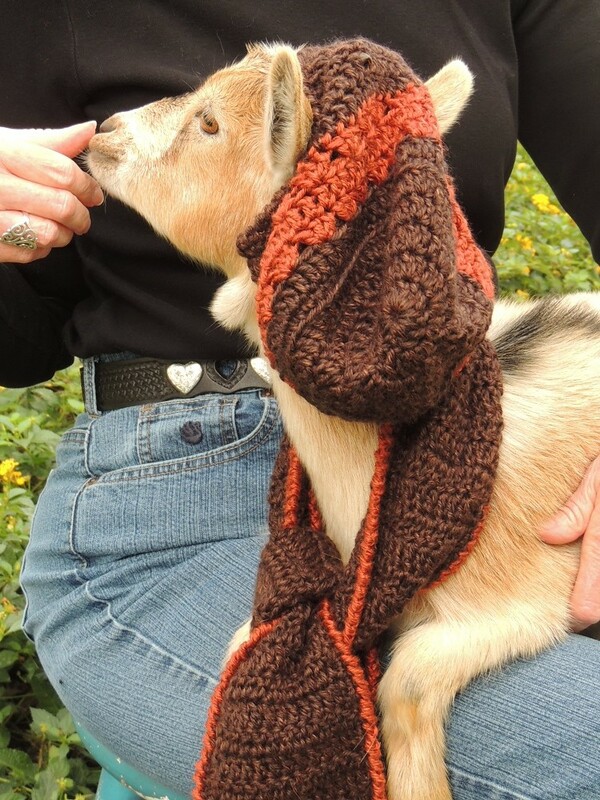 Afghans, scarves, cowls, those types of projects. Diamond Weave Hat, crochet pattern by String with Style for sale on Ravelry. BreeAnna: If I want a challenge I usually dive into thread or lace crochet. I also really love more advanced stitches that offer a fun texture or effect. 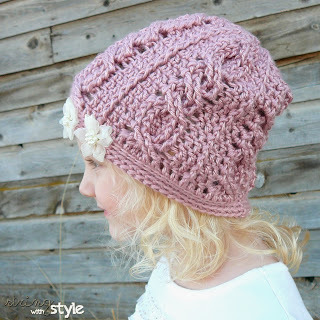 Cabled Cutie Slouch, free crochet pattern by String with Style. BreeAnna: Right now I would have to say hats and fingerless gloves are my favorite gifts to give. Star Bright Angled Scarf, free crochet pattern by String with Style. UC: What are your favorite types of crochet projects for cold weather? 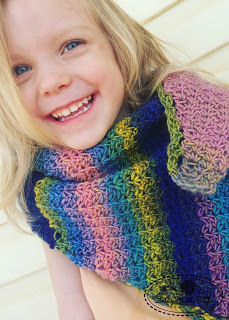 BreeAnna: I love to work on Afghans in the winter so I can snuggle up under them as I go. 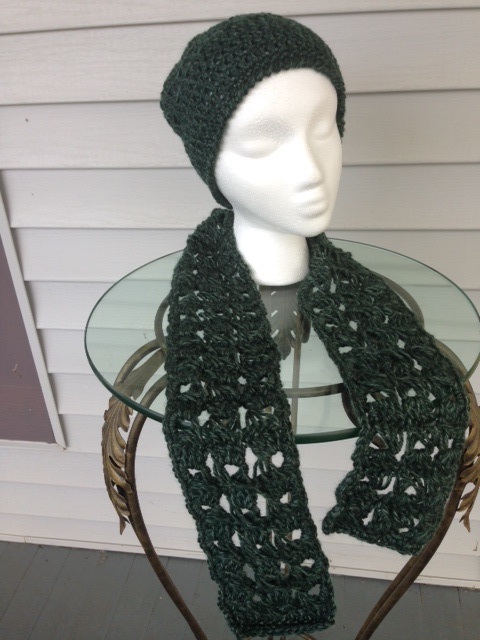 I also love to make different scarves, shawls, wraps and hats in the winter. It's like having a whole new outfit when you have a new accessory like that. 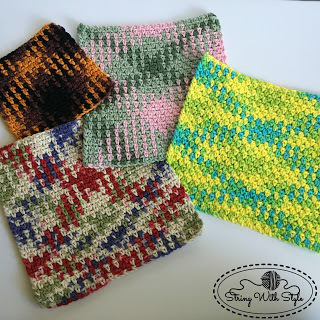 Planned Color Pooling Argyle Dishcloths, free crochet pattern by String with Style. BreeAnna: In 2016 I have mostly been working on building my pattern base after my year off. It has been challenging with a 1 year old but I think I'm getting a rhythm down. It has been a fun creative year making a lot of things that have been swimming around in my head and the majority of them are being released over the next few months for this chilly winter we have coming. As far as what's next, I would really like to step into the video space that has become so popular. I'm working on offering some new things this coming year in 2017 that I think are going to be really fun and also valuable to my friends and followers. 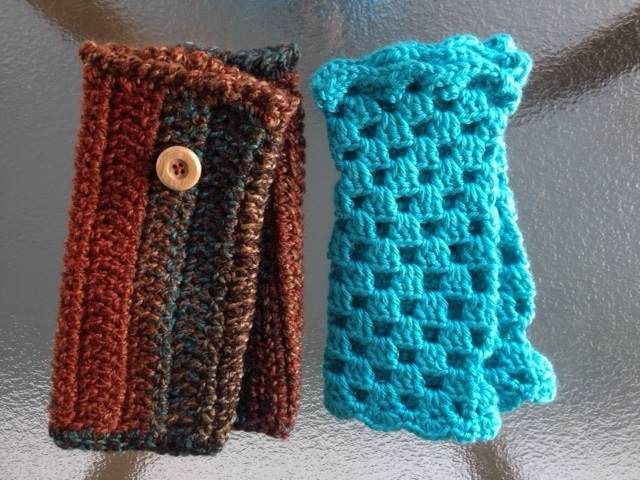 Thanks for sharing your love of crochet with us, BreeAnna! Oh my goodness. I can't believe that we are done with this wonderful journey and we each have two lovely wraps to keep or share. And since you've done them once, you can go ahead and make more and more! That was kind of the point of this Holiday Crochet Along - to provide you with pieces you can make fairly quickly and give as gifts! 1. Enter to win the giveaway by the end of the day on Nov. 19, 2016 using the Rafflecopter widget below. 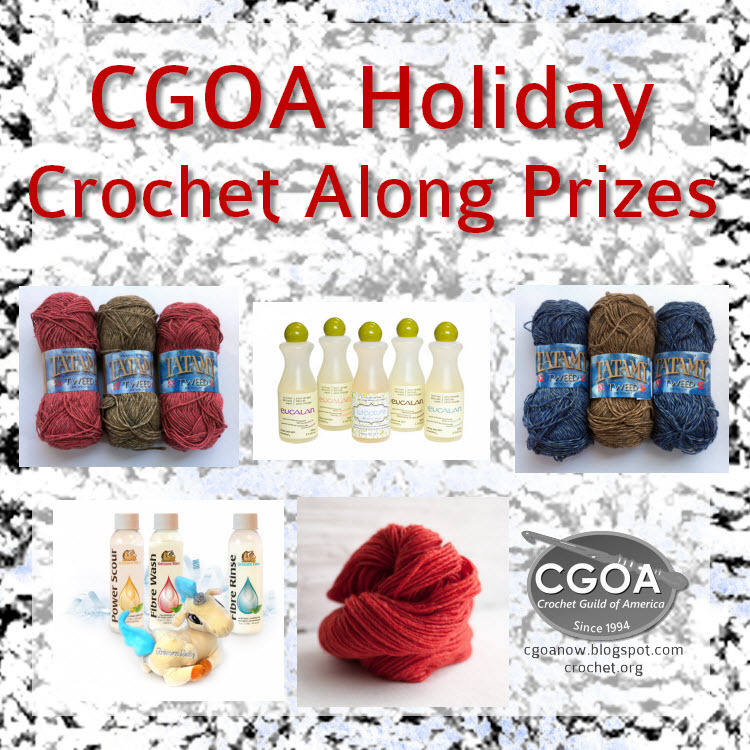 To earn extra entries, link to pictures of your finished objects in the comments. 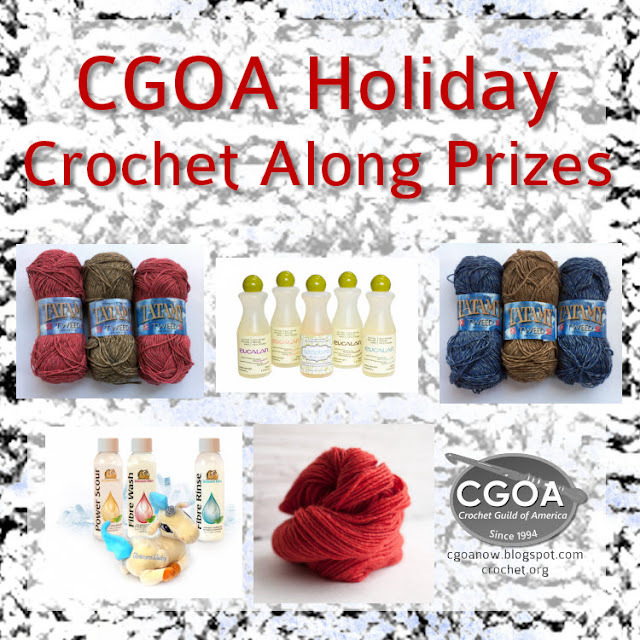 Each prize is fabulous and different and each one has different shipping restrictions. Click on links below and scroll down for full descriptions. Shipping Worldwide: Three Skeins of Tatamy Tweed by Kraemer Yarns in Rose and Taupe. Shipping Worldwide: Three Skeins of Tatamy Tweed by Kraemer Yarns in Blue Jean and Taupe. Shipping to North America: Two Skeins of Manos del Uruguay Silk Blend by Fairmount Fibers in your choice of color. Shipping to the U.S. and Canada: A Eucalan Gift Pack. Shipping to the United States: A Unicorn Clean 4 oz. Gift Set. Optional: Please link to pictures of your finished "All the Stars Above" and/or "Lace Ripple Fans" by copying and pasting the URL to your photo in the comment section, then earn 3 entries for each finished object by pasting your link into the Rafflecopter widget. I really want to see your work and I will visit your blog or page to Ooo and Ahh over your pieces! Let's keep the conversation going. If you're not already a member of the CGOA Crochet Along Facebook group or Ravelry group, please join us so we can all stitch together! 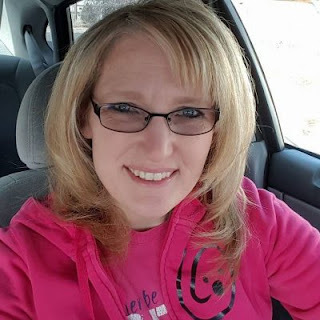 Do you want to connect with me on social media? Caissa (@artlikebread) can be found on facebook, and Instagram. Join my newsletter about crafts, crochet, and education. Jacksonville, Texas. That’s in east Texas about a two-hour drive southeast of Dallas and about a two-hour drive west of Shreveport, Louisiana. My mother-in-law taught me basic stitches in 1970, and women at a yarn shop in Houston, Texas helped me crochet baby booties and a sweater for my first-born son. I have been crocheting off and on since then. Now that I’m a retired professor of library science I have time to crochet a few hours every day. Susan Bates, size H, metal. Currently, Lion Brand Heartland, all colors, #4, acrylic, for making beanie hats and scarves. I also like Lion Brand 24/7 Cotton for making dishcloths and tote bags. 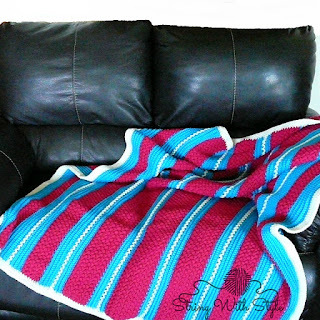 What is your favorite crochet stitch and why? 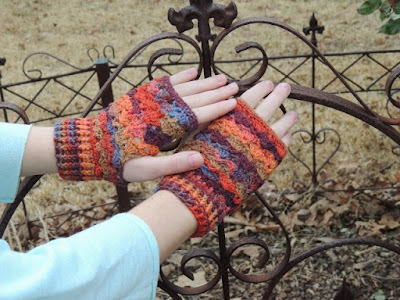 To create a comfortable cuff for fingerless mittens, I like alternating front post half double crochet and back post half double crochet. My newest favorite stitch is broomstick lace. Thanks to Darla Fanton’s excellent class in Charleston, South Carolina! 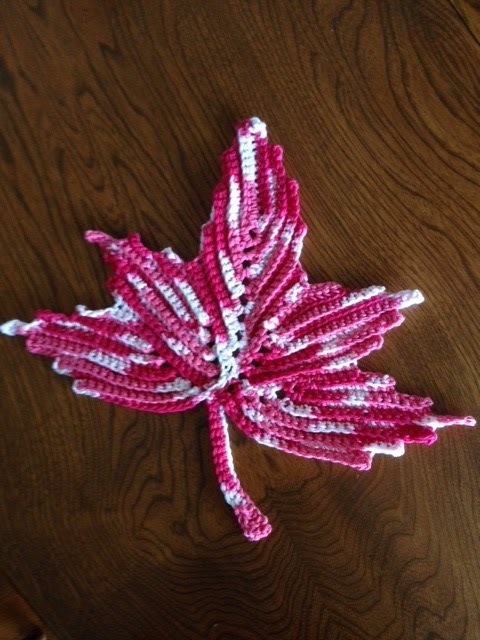 When the talented women in Houston helped me learn to crochet, they also taught me how to read patterns. Interpreting a chart is fascinating but new to me, so my preference is a pattern. I crochet for myself, for the women in my family, for women friends, and for our local CASA (Court Appointed Special Advocates) program. In our town the program director requests hat and scarf sets for teens, the majority of young people the program serves. No, nor had I even heard of one until this year. 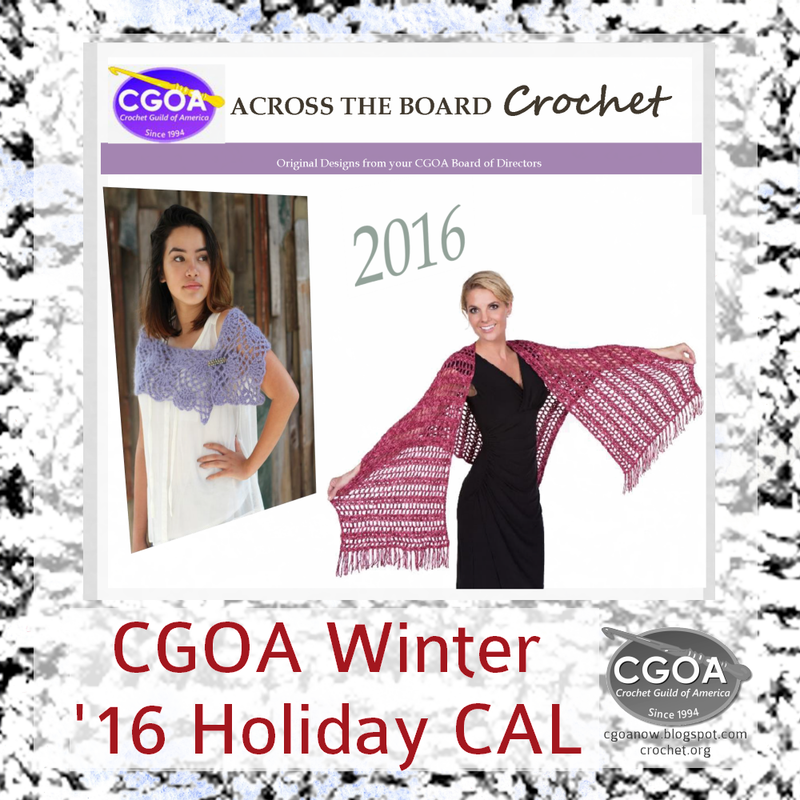 How long have you been a CGOA member? I attended my first conference this year and had an excellent experience with the classes I chose. I was impressed by my experienced and knowledgeable teachers and by my mentor, Carolyn Calderon, a talented and generous person. No, but I have organized a group of women who meet every Tuesday afternoon at our local public library. We refer to our group as “Hooks and Books!” Most of us love to read as well as to crochet, so we informally discuss our favorite titles while working on individual projects. I plan to continue a combination of learning new patterns and stitches, making gifts for friends and family, selling items locally, and donating to CASA. Do you have any other pastimes, interests, sports, or crafts you enjoy doing? My husband and I raise pygmy goats to help keep weeds and grass under control around our property. Currently, we have 26 goats and three Great Pyrenees dogs that guard the goats from wild dogs that roam the area. Each spring we average 15 newborn kids, and I name each goat. In 2016 17 kids were born, and I named each one after a favorite movie star. Sometimes it takes very little to amuse me. Two of my favorite kids are Helen Mirren and Sam Heughan, partly because they (the goats) have beautiful pale blue eyes. Do I milk the goats? No. Do I crochet for the kids? Not yet, although they would love to nibble yarn. 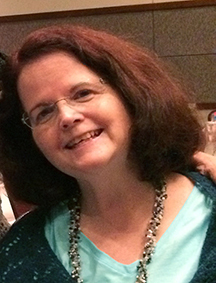 Thank you for sharing with us Rosemary, it's been fun "getting to know you"!